NMLS 10 Hour SAFE Nevada online instructor led course. 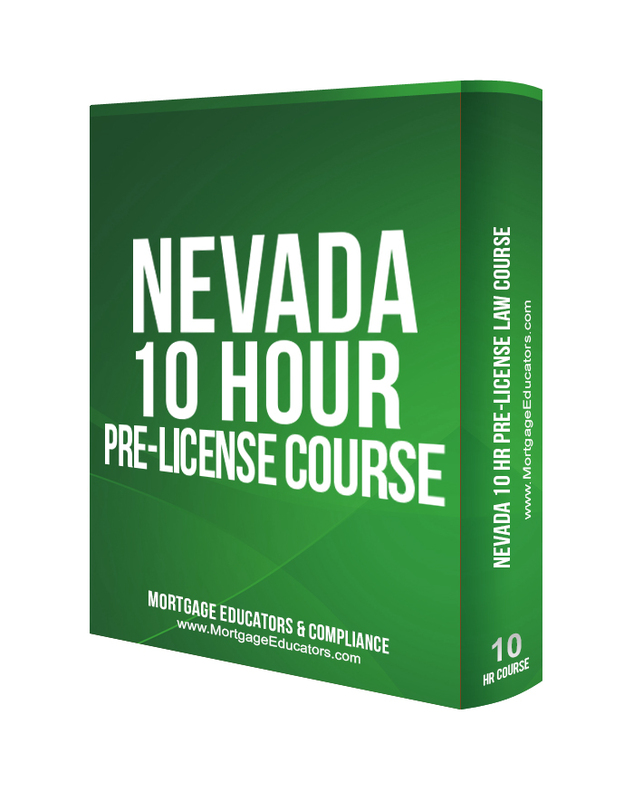 Required course to obtain a Nevada license. IMPORTANT NOTE: The course will be loaded into your account on the selected start date and the selected time. As per NMLS education regulations, you will have 24 hours to complete the course from the chosen start date/time until your access is terminated. The NMLS requires that education providers report education credit hours within 7 calendar days. Mortgage Educators & Compliance generally reports education credits within 3-5 business days. If you do not see your education credits reflected within the 7 days, contact MEC Support. If you would like to expedite your hours to be 1-2 business days, Click Here. REFUND POLICY: If you have not yet started the course, you may receive a full refund within 24 hours of purchase, or a partial refund of 75% within 30 days of purchase. If the course has been accessed and started within our system, we cannot grant refunds.